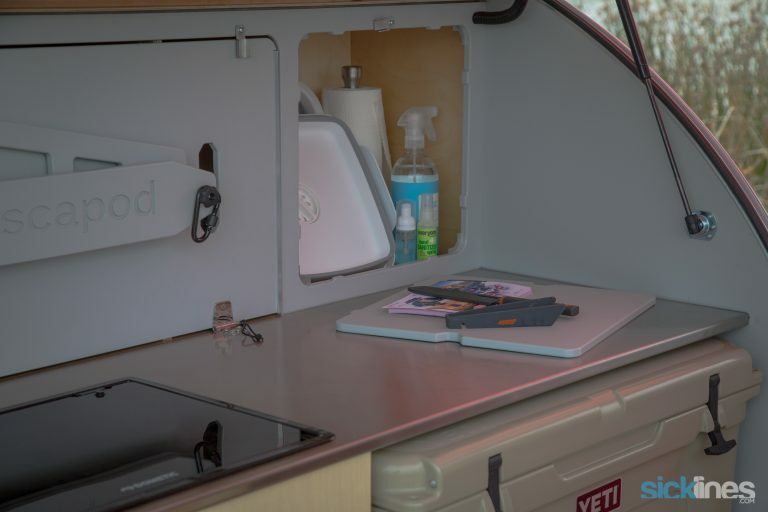 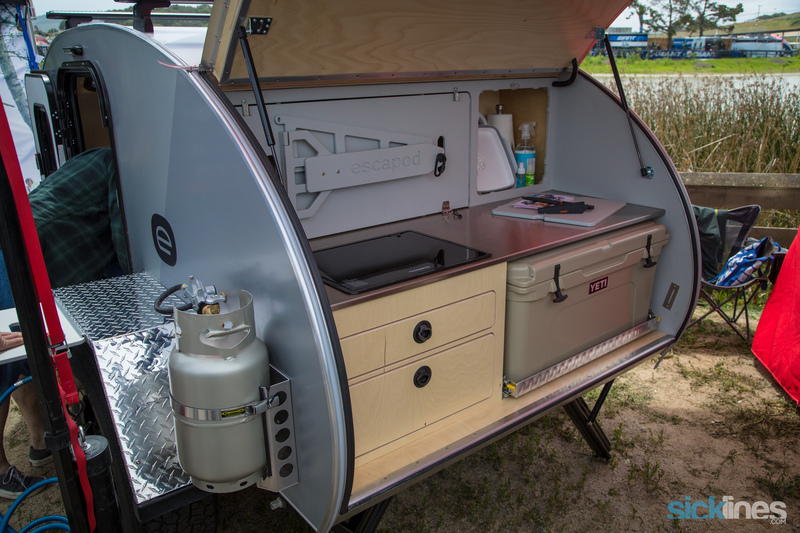 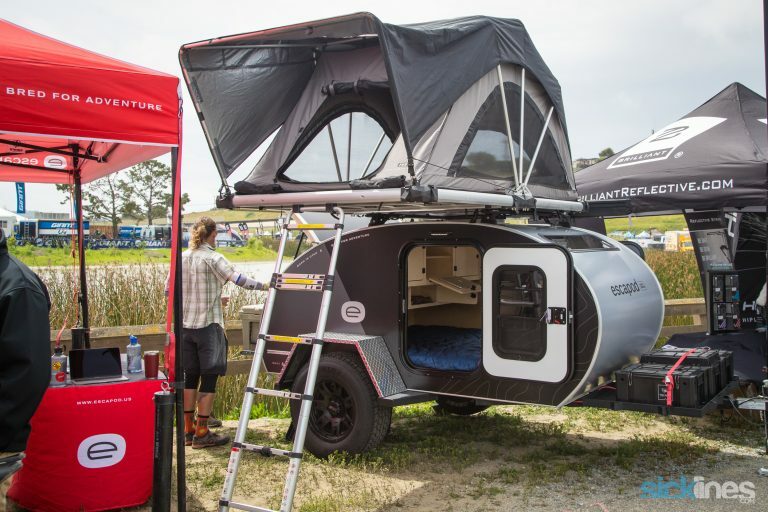 Inside we take a look at the Escapod Topo teardrop trailer and a video walk-through of interesting new front suspension bike from Structure Cycleworks. 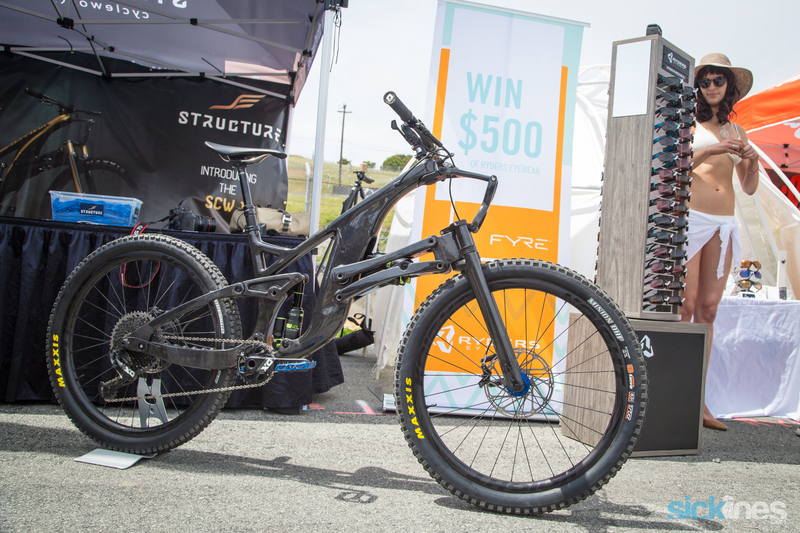 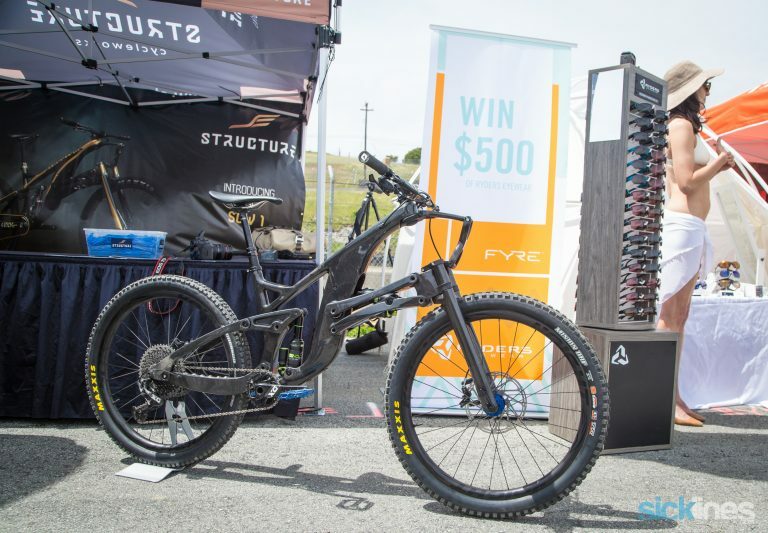 Just when you think you’ve seen it all Structure Cycleworks debuts a new bike that features a linkage style front suspension design. 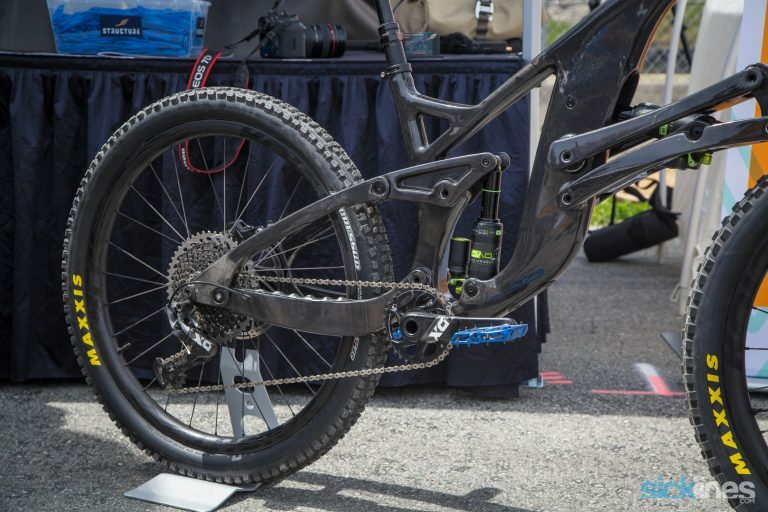 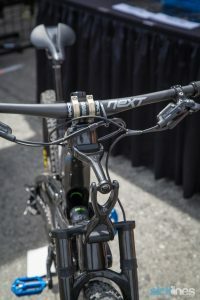 While this isn’t the first linkage style mountain bike front suspension design, it is a much different take than anything that has come before it. 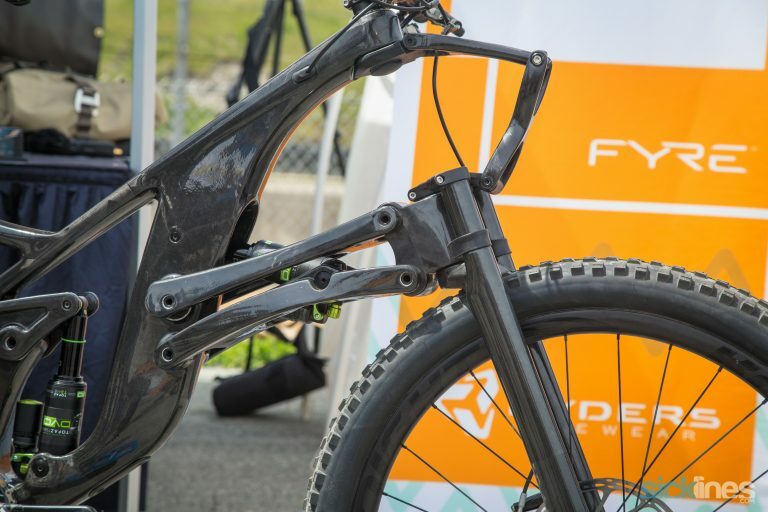 Listen to what they have to say about the bike and see how it moves in the video below as they talk about some interesting aspects of their design including geometry changes as it moves through its travel and more. 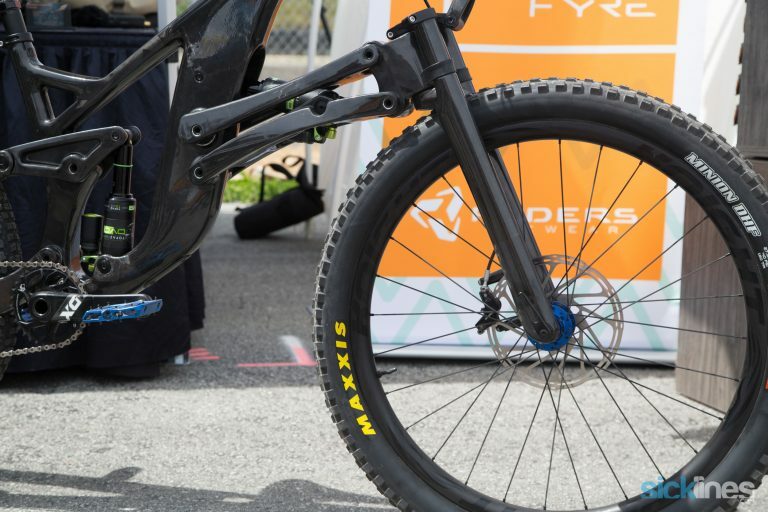 Pedaling it around felt different certainly but they do raise some good points about the way suspended products in other disciplines work that could be beneficial for cyclists in rough terrain. 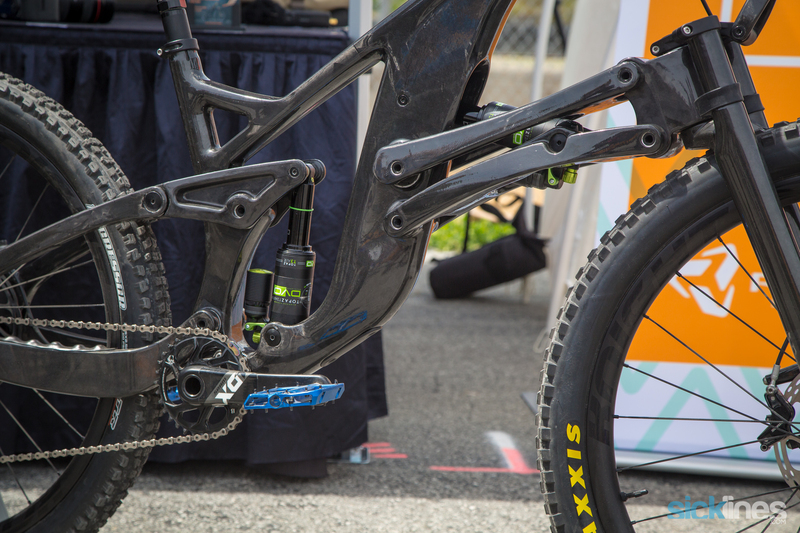 If you’re intersted in swinging a leg over one, check them out at Crankworx Whistler this year or during one of their planned demos. 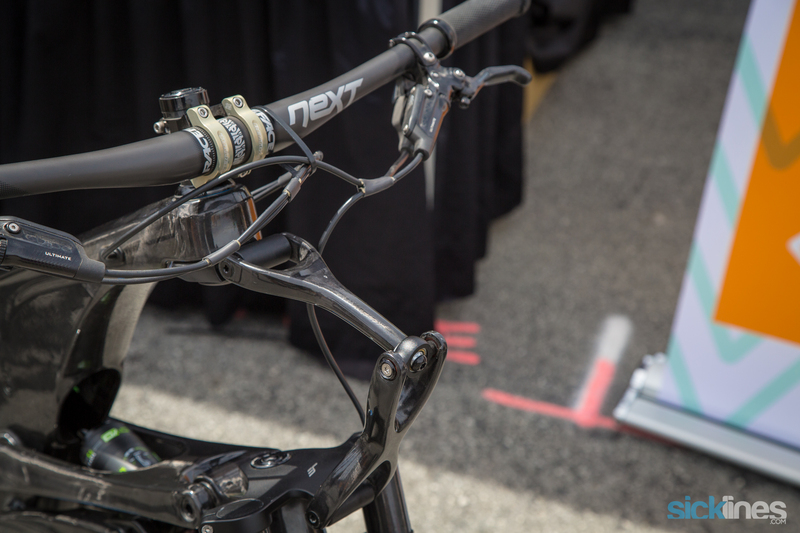 Production quality is limted and the price reflects that as well. 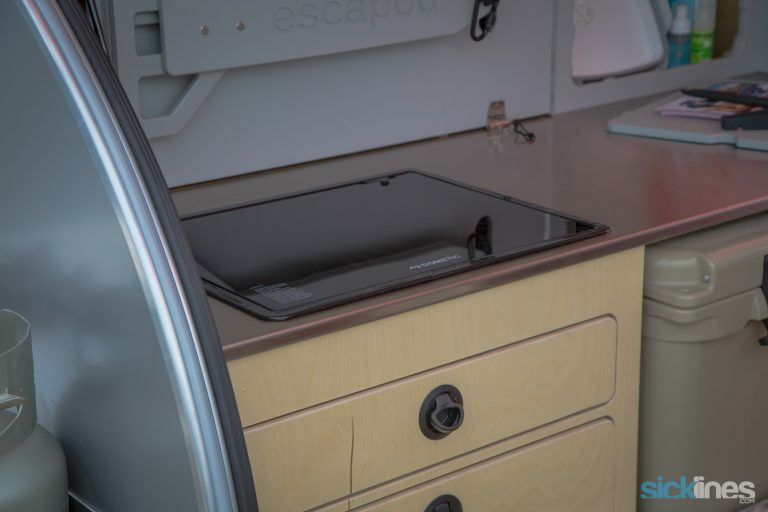 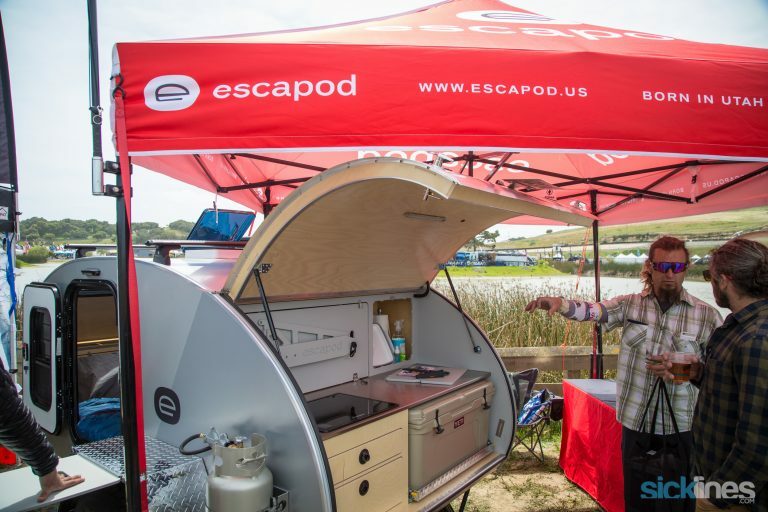 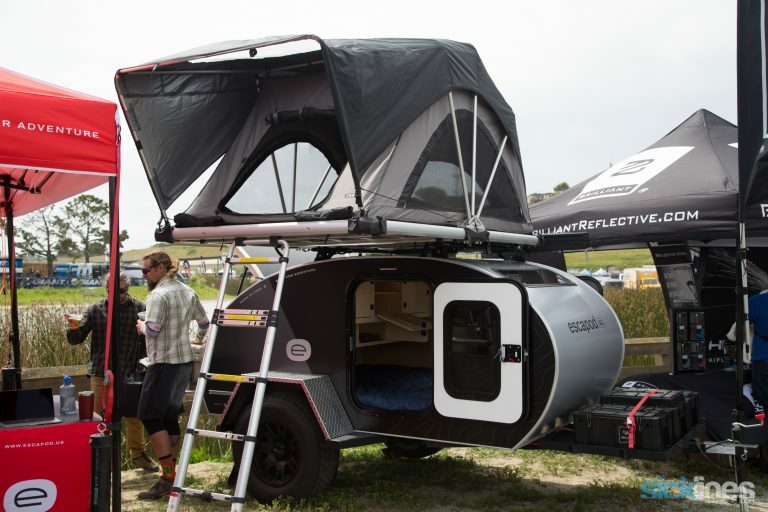 Escapod was showcasing their Teardrop trailers that had a lot of nice built in amenities in their off-road capable trailer. 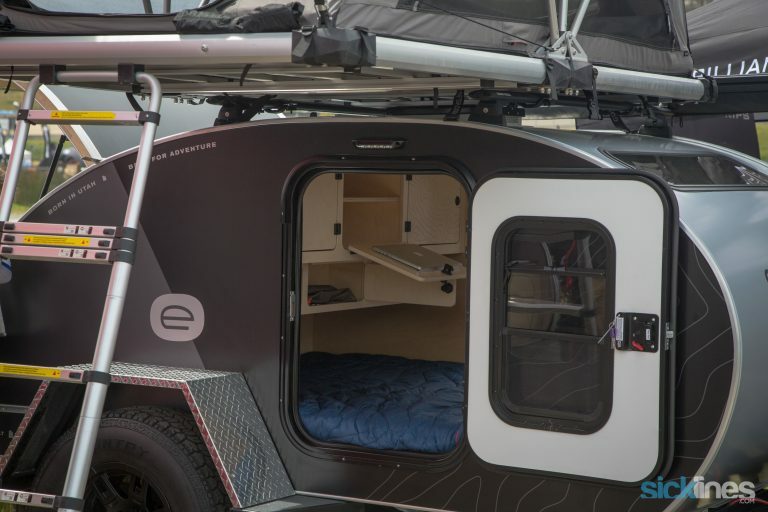 Their design allows you to reconnect or explore in adverse terrain.